Round and round he whirls, displaying precision and strength. One slip or a bad move could result in crushed fingers or a serious body injury. But Pancho Libre is totally focused on what he is doing, dismissing from his mind the fact that he is performing on hard concrete. The Mexican knows that he is the master of his art and has confidence that a mis-step by him leading to a fall would be rare. The cyr wheel is difficult to manipulate and control. It is an acrobatic apparatus that consists of a large ring made of aluminium with a diameter of about 15cm taller than the performer. Pancho stands inside it and grasps its rim, causing it to roll and spin gyroscopically while performing acrobatic moves. 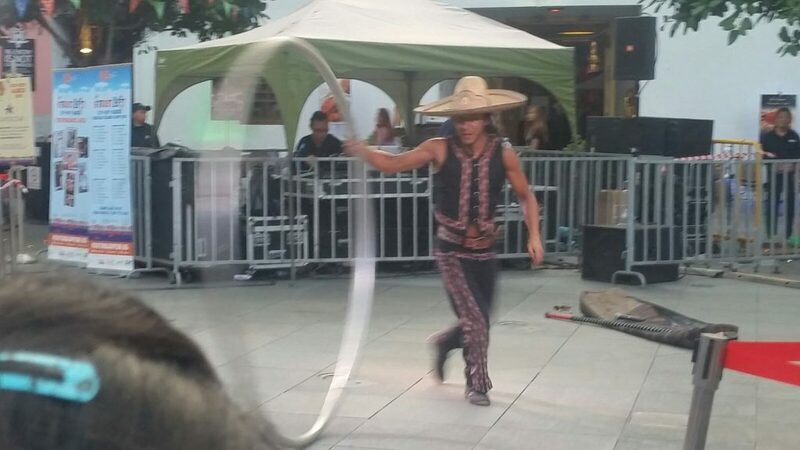 It is a large hoop, but he deftly spins it and makes it to follow his commands while rotating along with it all the while.